“We have to increase our education and health budget which is extremely low. Similarly the state of health budget is worrisome. 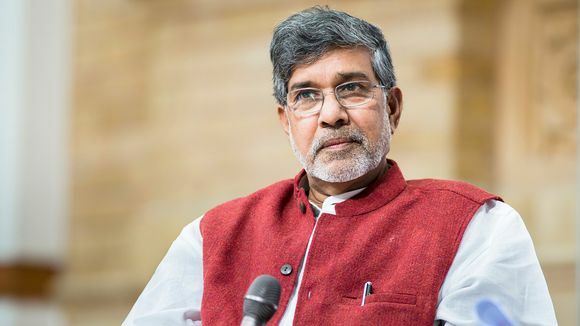 “According to Satyarthi, it will be difficult to tackle the health index of India until government comes up with a proper policy which addresses each and every loopholes pertaining to education and health. Just about 3.65% of the total budget expenditure is kept aside for education, it is too low. Later in the day, Satyarthi along with his team left for Rishikesh where he participated in the ganga arti. Dehradun: As a schedule of his Bharat Yatra , nobel laureate, Kailash Satyarthi was in Dehradun on Friday to spread awareness among people regarding child trafficking and sexual abuse of children , a drive he has started from Kanyakumari from September 11 and would spread across the country.Upon being queried about 100th ranking of India in Global Hunger Index (GHI) and its impact on children, the laureate related it to more child labourers in the country. He said, “There is a trilogical relationship between hunger, poverty and illiteracy. Poverty leads to hunger and ultimately to meet both ends, innocent children are exploited as child labourers and in this vicious cycle they miss on education , As Reported By TOI. According to the Newspaper,So hunger shouldn’t be taken lightly it shows a grim reality prevailing in a country, if the ranking is poor.”According to Satyarthi, it will be difficult to tackle the health index of India until government comes up with a proper policy which addresses each and every loopholes pertaining to education and health. “We have to increase our education and health budget which is extremely low. Just about 3.65% of the total budget expenditure is kept aside for education, it is too low.